As winter nears, I need as much sunshine as possible! - Modern Vintage﻿. 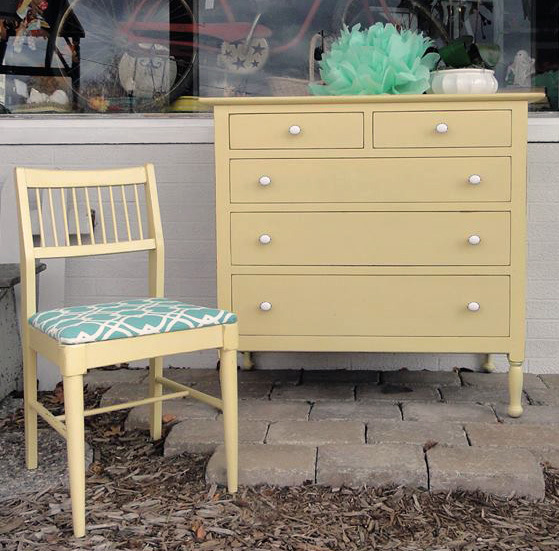 This dresser and chair painted with GF Buttermilk Yellow Milk Paint are definitely bright and cheery. Just what we need on this cold and snowy Wisconsin day!